My super dry lips get chapped easily even in summers and for this reason I keep collecting lip balms in various flavours. My favourite lip balms are maybelline baby lips which are decently moisturizing and the twist up tube packaging is also what I like to travel around with. I dont like tub lip balms much but when I spotted these cute looking MUA lip balms on a discount on jabong, I ordered them off and just cant stop applying the buttery balm on my lips every night. Here is the detailed review. I dont like tub lip balms as they are very unhygenic and applying them all through the day also gets a bit messy but this sweet kiss MUA lip balm is uber cute. 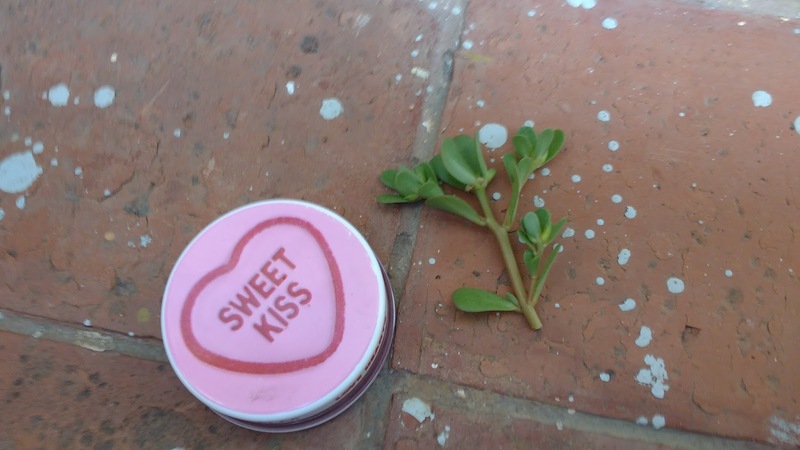 It is packaged in a transparent tub with a white screw cap having a heart and variant name sweet kiss imprinted on it. The screw cap has no chance of opening in your handbag making it very travel friendly. 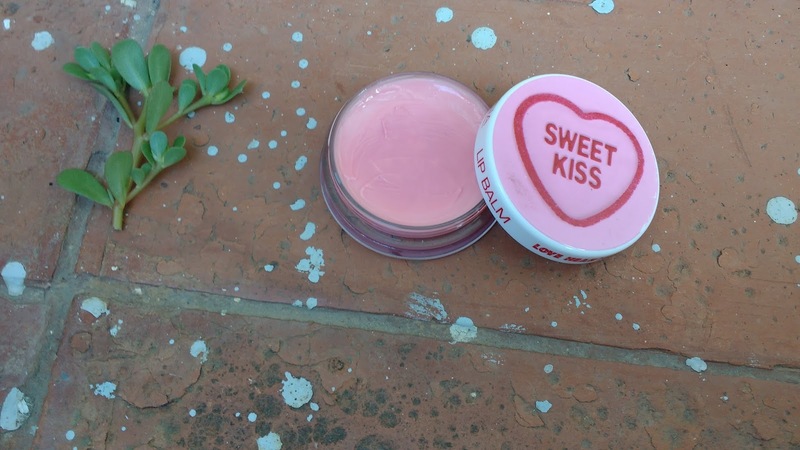 the packaging is super girly , infact any boy could just pop this lip balm off into a beauty hamper for a valentines day gift! I did not have much expectations from this lip balm but I surprised by its smooth buttery texture and moisturizing formula. I apply MUA Love Hearts Sweet Kiss Lip Balm on my lips every night before sleeping and it decently moisturizes my lips . This lip balm has a baby pink tint to it but it does not show up on my pigmented lips and I feel like I have applied a clear lip balm which is why I use this in the night. I tried layering it for a hint of pink to show up on my lips but I actually ended with a white cast, so layering isnt recommended. There is a faint vanilla scent when I apply this lip balm which fades of within seconds. After application the hydrated effect lasts for about 3 hours after which I have to reapply. I must say this is a very moisturizing lip balm but not exactly a nourishing lip balm so if you have chapped lips this may not be the best option. The quantity is amazing for the price and the lightweight creamy texture has found a fan in me. Yes, but in other variants because 10g of sweet kiss is a lot to finish. 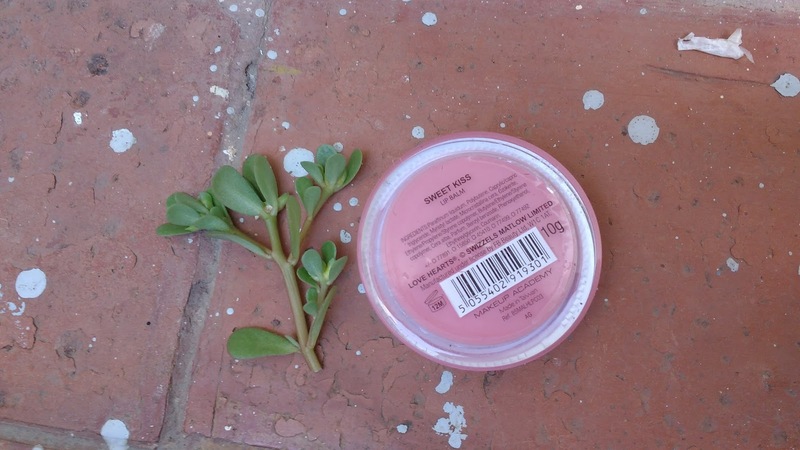 If you are looking for a smooth non tinted hydrating lip balm packaged in a chic tub, this is a nice pick. I was super bored with maybelline baby lips and worked like a good change. IfF you like your lip balms to be tinted and packaged hygienically avoid this.